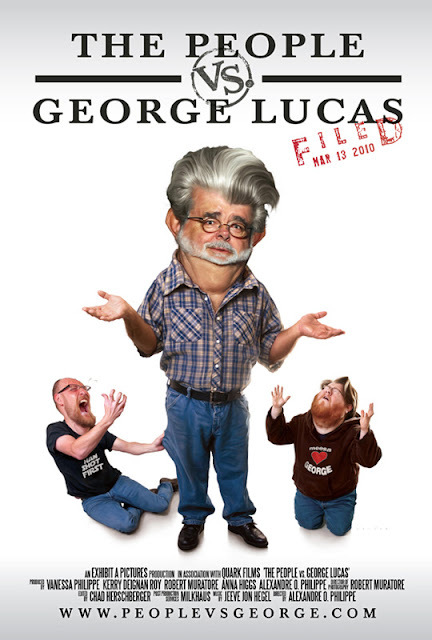 Word broke in the wee hours of the morning that The People vs. George Lucas, Alexandre Phillipe's documentary about the love/hate relationship Star Wars fanatics have with the creator of their most treasured mythology, will have its world premiere at South By Southwest (SXSW) Film Festival in Austin, Texas next month! And look again! New trailer! And who is that appearing at 44 seconds into this trailer? That's Melody Hallman Daniel from my very first film Forcery! I'd been hoping and praying that Melody's amazing performance doing that rant would make it into The People vs. George Lucas... and it did! And Phillipe has hinted to me that there will be a few other clips from Forcery in his film, too.